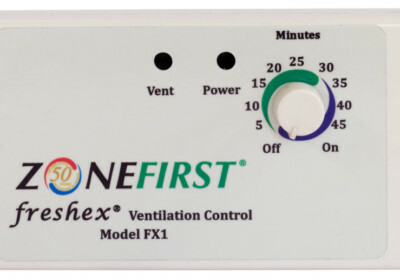 The ZONEFIRST Make-Up Air Ventilation Damper System is designed to provide outdoor make-up air whenever an exhaust fan or ventilation hood is operating to replace the exhausted air by introducing make-up air into the building. 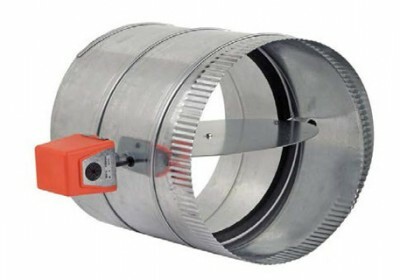 The system is a kit consisting of three basic components, the RDSC (normally closed) motorized damper, which opens to allow outdoor air into the building, the SPS05 pressure sensor switch to sense when the exhaust fan or hood is operating and a T24 24VAC transformer to power the damper and pressure sensing switch. 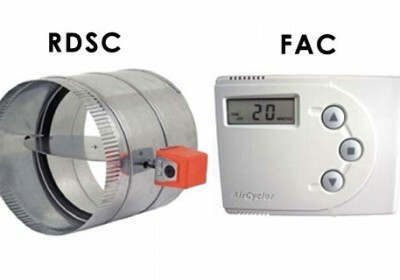 When the exhaust fan or hood is on, the pressure sensor switch will sense the increased air pressure and open the RDSC damper. 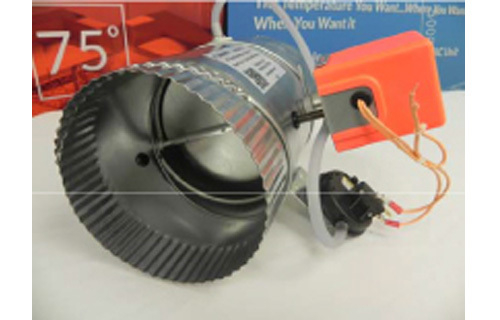 When the exhaust fan or hood is off, the pressure sensor will sense the decrease in air pressure and cut the power to the damper motor. The damper blade will spring closed against the damper’s internal gasket, ensuring a tight seal. Larger dampers sizes available to 20” diameter.